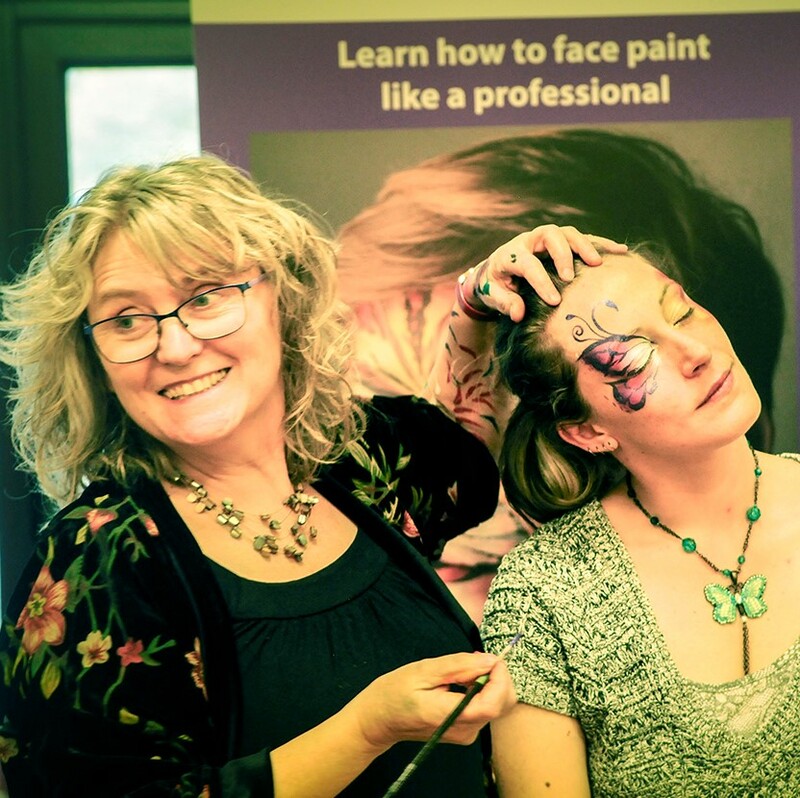 Simply join Façade Academy’s regular scheduled face painting classes and bodyart workshops given by award-winning artists in Hemel Hempstead every week of the term. Façade Academy On the Road – we will bring classes and workshops to you. We continue to provide specialist training throughout the UK and Europe. “I don’t have a creative bone in my body!” I hear you say… Don’t worry. I’ve taught many students who hadn’t picked up a brush since school. Now they are running their own successful businesses. Had your arm twisted to face paint at the school fair? We can show you how to impress the head teacher, contribute to the school funds and make the children smile with your Tigers and Butterflies! You will be taught the essential foundation skills by starting where it matters, at the beginning, and building on each acquired skill in order to gain confidence. You can ring anytime and talk to a friendly human! Are you ready to follow that dream? Ready to book? Click here for our online booking form. We will confirm availability. Façade Academy's face painting and body painting classes take place in Kings Langley, near Hemel Hempstead, Hertfordshire, UK. Kings Langley is situated close to J20 of the M25, not far from the M1. It is well served by mainline rail from Euston. Each venue is booked taking into account the requirements of the specific class.